20% will be deducted from the full price per session for each additional child after the first (not applicable to ad hoc bookings). The school will part fund some places for families in receipt of Pupil Premium funding, according to the number of sessions booked at Amigos. Please arrange a meeting with the School Business Manager, Ms Blyde, to organise a funding plan. Regular user - If you will use the Club on the same day and times each week you will have a priority place. You will be invoiced for half a term at the beginning of each term and payment is due immediately. Ad-hoc user- You may book your child(ren) into the Club before 9:00am on the day you wish to use the Club (subject to spaces being available). Payment must be made at the time of booking as no invoices are issued. Non attendance - If your child is not attending any of their pre-booked sessions at Amigos, please notify the office by 9:00am on the day of absence so the Amigos staff can be informed. This is a child safeguarding issue and it is particularly important if your child has been in school during the day that we know they have been dismissed by the Class Teacher. Every child who has a priority place (same day and times each week) will be entitled to every 10th session free of charge. This will be shown on invoices. All children are offered a fruit and drink snack at 3:15 pm when they arrive at the Club. A light tea is given to all children at 4:30pm. Examples of the light tea offered are: sandwiches, pitta bread and dips, crudities, pizza, yoghurt, fresh fruit. Activities are offered each day but some children prefer to read a book or play quietly. The staff are very sensitive to this and allow the children time to relax and choose what they would like to do. 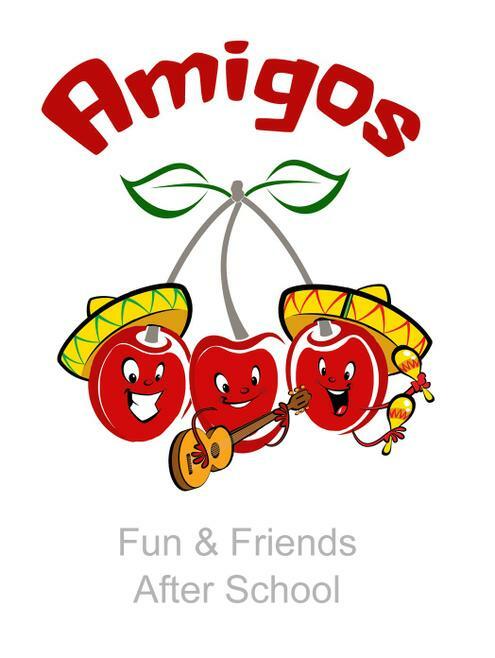 Should you need to contact the Amigos Club Supervisor during club hours, please call 07983 382774.